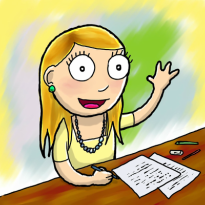 ​Check out what Allayne gets up to in addition to writing. Editing/typesetting 2019 release Middle Grade/early YA novel. Author visit Pedare Christian College, Tuesday 12th February. Final edits Middle Grade/early YA novel. eKIDnas (Adelaide Authors and Illustrators) Xmas Dinner. Editing 2019 release Middle Grade/early YA novel. Hosting an In Conversation Event with bestselling novelist Jane Harper at Marion Cultural Centre - Sunday 4th November. Details. Running Teen Writers Workshops for Writers SA - Saturday 10th and 17th. Adelaide City Library. Event - Premier's Reading Challenge - The Sanctuary Function Centre - North Adelaide - Thursday 22nd November. Attended Book Launch - Vanishing by Mike Lucas, illustrated by Jennifer Harrison - Saturday 24 November. Details. Attended Book Launch - The Extremely Scary Thing That Happened in Huggabie Falls by Adam Cece. Details. Workshop - Writer's SA - Saturday 8th September - Writing for Junior Fiction, Middle Grade and Young Adult - Know your audience, know the difference. Hutt Street Library, City. Register HERE. Workshop - Writers SA - Saturday 15th September - Teen Writers Club - City Library Rundle Mall - Register HERE. Opening Night/Saturday program, Salisbury Writers' Festival - Friday 24 August, Saturday 25th August. Attended Beneath the Mother Tree Book Launch - Friday 27 July - The Jade, Flinders Street - MidnightSun Publishing. Appeared at Meet the Writers, 21 June, Adelaide Convention Centre. Penguin Random House In Conversation Event - Tuesday 26 June - Pegi Williams Bookshop with authors Emily Gale, Fleur Ferris, and Tristan Banks. Attended book launch of 'Message in a Sock' by Kaye Baillie, MidnightSun Publishing, Burnside Library, Tusmore - Saturday 12th May. YA novel The Centre of My Everything was released for sale! Meeting with Year Six students at Pedare Christian College, Wednesday 14th February. *Final typeset edits of February 2018 release YA novel, The Centre of My Everything, published by Penguin Random House Australia. *Salisbury Writers Festival Planning Meeting. *Master of Ceremonies, 2017 Salisbury Writers' Festival - Friday 18th August - Saturday 19th August. *attended Reading Matters, Melbourne, 2nd-3rd June. *attended Reading Matters, On the Road, Adelaide event, Shivaun Plozza and AS King, Tuesday 6th June. *SA SCBWI Winter Retreat, Coventry Library, Stirling, Saturday 17th June. *launched A Cardboard Palace, Burnside Library, Sunday 18th June. *presented at Meet the Writers, Adelaide Convention Centre, Thursday 22nd June. *presented at Banksia Park International High School - Thursday 29th June. *launch of Those Pleasant Girls, a novel by Lia Weston, Dymocks Rundle Mall, Thursday 4th May. *launch of King of the Outback, a picture book by Kristin Weidenbach, illustrated by Timonthy Ide, Saturday 13th May. *Leigh Hobbs workshop, SA State Library, Thursday 18th May. *SCBWI Dinner - author and illustrator Christina Booth, The British Hotel, Thursday 25th May 2017. *SCBWI SA School Visit Showcase, Sunday 9th April. Full details. *Book launch - Rosanne Hawke, Immanuel College, 6pm Friday 28 April. *launch of Jean Harley was Here by Heather Taylor-Johnson, Thurs 2nd March. Full details. *attending Adelaide Writers Week - Saturday 4th March to Thursday 9th March. ​*May Gibbs Children's Literature Trust Event, Burnside Library, Thurs 16 March. Full details. *SCBWI Book Club - Greenlight Comics, Rundle Mall - Thursday 23 March. *SA Writers Centre Children's and YA writers Meet-up Event, Thurs 9 Feb.
*Presenting at Pedare Christian College, Golden Grove to Year 6's. * SCBWI SA Chapter Members Meet-up, Fri 24 Feb.
*launch of Olivia's Voice, a picture book by Mike Lucas, illustrated by Jennifer Harrison. Full details. *launch of Kate Dellar Evan's poetry novel, SA Writers Centre, Sunday 30th Oct.
*Allayne launched middle grade novel, Into Tordon by Z. F. Kingbolt, for Midnight Sun Publishing. Full details. *attended author Marianne Musgrove's book launch of Freida, published by Scholastic. Full details. *May Gibbs Children's Trust event with special guest speaker, author Susanne Gervay. *acted as a Books In Homes Ambassador at Elizabeth South Primary School on Thurs 24 November. *ran a workshop/appeared at the Barossa Council Library, Nuriootpa, SA for School Holidays. *hosted the 2016 Salisbury Writers' Festival. *appeared at various schools during Children's Book Week. *appeared at Kingston Community School, Kingston SE, SA, speaking to students and delivering workshops. *SCBWI gathering at Stirling Library, Stirling, Adelaide Hills. *assisted in the planning the 2016 Salisbury Writers Festival. *awarded a South Australian Art Grant to work on a project/series in 2016. Allayne was rushed to hospital where she spent five weeks in intensive care and almost died. Upon release, she spent time rehabilitating at home, supported by family and friends. *chaired a literary panel, 'Writing as Therapy,' at the 2015 Salisbury Writers' Festival. *hosted William McInnes (award winning actor and author), Jane Turner-Goldsmith (psychologist, writer and teacher) and David Chapple (Specialist in Writing and Health.) The panel was a huge success with festival patrons. Event pictures can be seen on Allayne's author Facebook page. *hosted a writing workshop for teens, 'Place and Setting,' at the South Australian Writers Centre on Tuesday 7th July. For pictures of the event, visit Allayne's author Facebook page. *attended the winter gathering of SCBWI (The Society of Children's Authors and Illustrators) at Coventry Library, Stirling, SA. *Paper Planes traveled to the Bologna Book Fair (Italy) and to the London Book Fair. *Author in Residence at Pedare Christian College, Golden Grove, where Allayne hosted year 6, 7 & 8 classes, focusing on what it is to be an author and how to improve existing creative writing skills. *presented a 'Get Published!' - a workshop at the South Australian Writers' Centre on Saturday 6th December. And what a fabulous bunch of people! *presented to SCWBI (The Society for Children's Writers and Book Illustrators) at the Franklin Hotel on Sunday 12th October. *visited Walford Anglican School for Girls. *Paper Planes, was launched at Norwood Morialta High School Middle Campus by fellow celebrated authors, Vikki Wakefield and Rebecca Burton. *presented at Norwood assembly and to Year 9 English classes. *acted as a mentor to students at the Year 10 Norwood Morialta Middle School Mentor Day on Thursday 25th September. * author presentation at Norwood Morialta High School - Middle Campus - Thursday 3rd July 2014 - Allayne presented "What it's like to be an author" to Year 8 and 9 students. *presented a Writers' workshop a﻿t the South Australian Writers' Centre. *guest speaker at the 8th Mayoral International Women's Day Breakfast at The Watershed Cafe, Mawson Lakes - Friday 7th March 2014. *Allayne spoke with Peter Goers and fellow author Vikki Wakefield, about the 2014 Salisbury Writers' Festival. *attended the Children's Book Council Conference Breakfast - Adelaide Convention Centre. *appeared with author Vikki Wakefield at St Ignatius College, Adelaide. ​*appeared at Dymocks book store in Rundle Mall on Weds 21 March at 6.00pm for an 'in conversation' event with fellow Adelaide author Fiona McIntosh. Fiona talked about her new book The Lavender Keeper. *guest speaker at Flinders University as part of 'Authors and their Worlds' series. Spoke to Creative Writing students. Allayne visited St Teresa Primary School and Brighton Library to talk to three classes of Brighton students about 2011 Book Week and her children's book 'Barnesy.' The children contemplated things they perceived to be Australian and also any Australian stories they could think of. There were some wonderful answers!! A special BIG thank you to St Teresa's librarian Anita and to Brighton Library's Tracy Glover. ​*panel member at the Salisbury Writers' Festival. Allayne participated in a Q&A session with SA Writers' Centre host Barbara Wiesner and the audience. Later that afternoon, Allayne hosted Hachette publisher Jon Appelton in a speed pitching event where potential authors could pitch their ideas to a publisher. 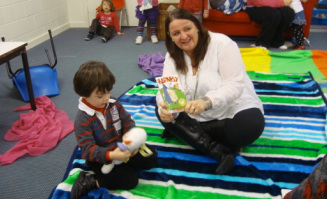 Allayne visited the Parkside Childcare Centre and read ‘Barnesy’ to the children. The children were able to pass around a ‘Barnesy’ toy sheep with a bandaged leg during the story – an activity they most enjoyed! Thank you very much to the enthusiastic staff at PCC, especially Centre Director Nina. Thanks for supporting Aussie yarns! Allayne visited Tyndale Christian School, Fern Grove Blvd, Salisbury and spoke to the junior school assembly. *keynote speaker at St Peters College for the SA Writers' Centre. *ran workshops for the SA Writers Centre for Country School kids.